Clinical Atlas of Canine and Feline Ophthalmic Disease provides an image-rich resource for diagnosing and treating ophthalmic conditions in clinical practice. 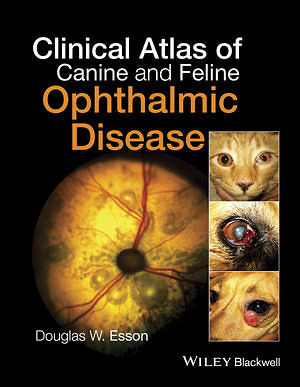 Offering multiple images of frequently encountered diseases, the book depicts the differing clinical presentations of ophthalmic conditions in dogsand cats. The book is carefully designed for ease of use,with commonly encountered conditions grouped together and concise,clinically relevant descriptions of each disease. Emphasizing high-quality color images, the text is succinct andto-the-point, presenting a summary of the presentation, diagnosis,and treatment for each condition, with selected references forfurther reading. 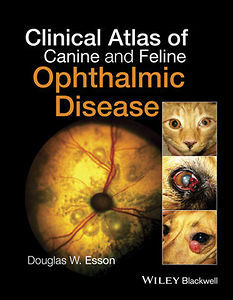 Clinical Atlas of Canine and FelineOphthalmic Disease is an ideal patient-side resource for the busy practitioner.